In its colors, Au Fond du ravin is based on the three colors that are most ­­ proportion that dramatizes the relation of the blues to the other two. 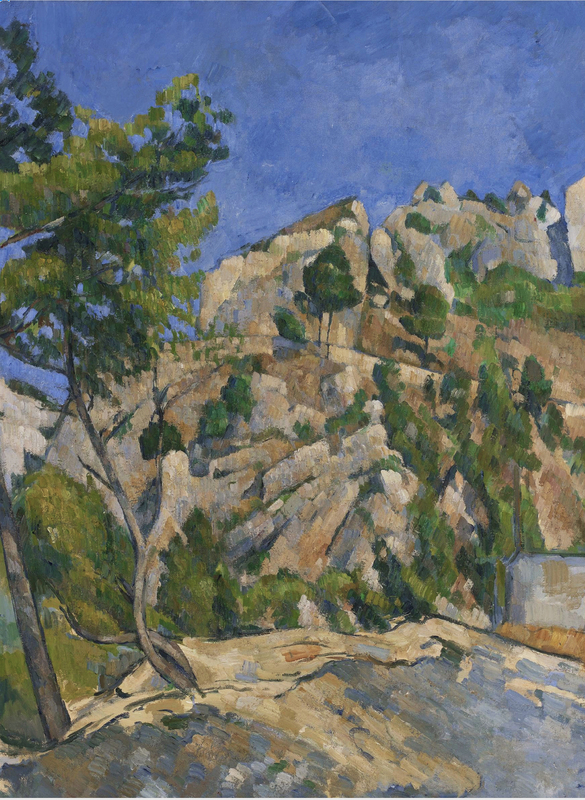 Cézanne turns to following the accidents of the rock face—its convolutions and erosions—to establish the composition. The base of the picture is a slab of rock that leans up toward the left, while the central part of the rock face leans toward the right, and this oscillation follows broadly the twists of the foreground tree and defines the basic lines of the composition. The parallel touch sometimes follows what it represents, as in the base, and at other times it is set in opposition, as in the center; when set in opposition, its top edge is sharp, so it can help define the incisions in the rock. Imposing a single touch on the whole canvas would have spoiled the oscillating movements, so the touch respects them, with a result that is magnificently solid, but viewed as a fine interplay rather than as a a simple architecture. 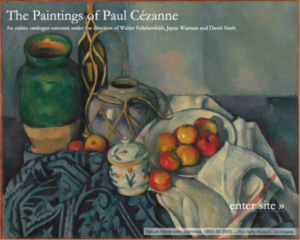 What simplifies our view is the straightforward color harmony, and what perfects its balance are the grey-violets that permeate the relentless yellows.